This is high school Bekah. circa 2002—taken and scanned. My, how quality has improved. Like now, she was 5'10. Like now, she thought she was fat. Unlike now, she was a size 10 and 150 lbs. Oh, what I would give to be her size again. 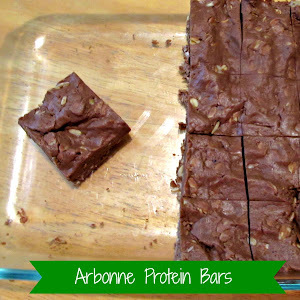 I've worked out off and on, and despite my sweet tooth, generally choose healthy eats. Still, the weight has crept on year after year. I've spent more than one Sunday morning crying in the closet because things suddenly didn't fit and I didn't want to show up to church looking ugly and disgusting. I've been angry and depressed at the realization that I somehow now outweigh my husband. I've known for a long time that I need to do something. That something became a lot harder when I moved from suburb to city. Gym memberships skyrocketed from $30/month to nearly $100/month. No. 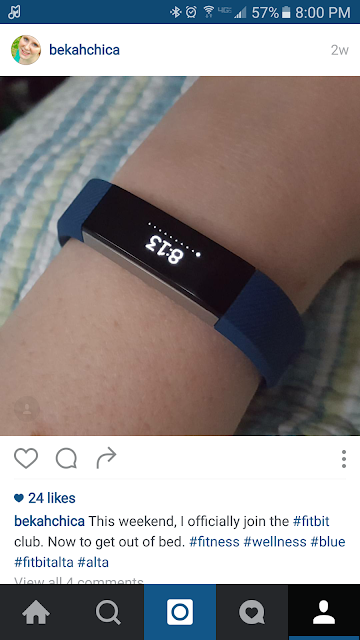 I've seen Fitbits around for awhile now and couldn't fathom why anyone would pay $100+ for a pedometer. What's the point? That's just silly. Still, lots of my coworkers were wearing them, and they sell like hotcakes whenever one pops up on our Facebook community's yard sale page. Just before my latest surgery, I overheard a Fitbit discussion among coworkers and also heard the word challenge. If there's one thing you should know about me, it's that I am a stubborn and competitive girl. If it's possible for me to win, I will fight to do so, even for something I don't want (as I type this, it's less than 20 minutes to the start of a Tori Kelly concert I won tickets to just because I like winning. I had to google who she was). So, the idea of competition intrigued me and I started looking more into these overpriced bracelets. Thankfully, post-op recovery means I had lots of free time on my hands to do things like enter multiple instagram loop giveaways. I thought I'd popped one pain pill too many when the notification popped up saying I'd actually won one: A Kate Spade bag and four other goodies including...a Fitbit Flex. Some quick research (and finding out while I was out, my boss and co-worker had both secured the same model) later, I sent back most of the prizes to Amazon in order to upgrade to the Fitbit Alta . 2 weeks, 3/4 challenges won, and 3 lbs. 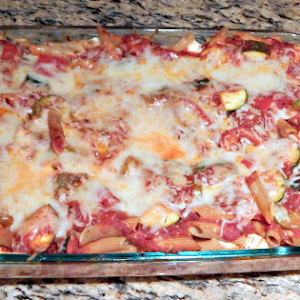 down (you gotta start somewhere), I am hooked. What do you think of fitness trackers? Do you or would you use one to reach your goals? 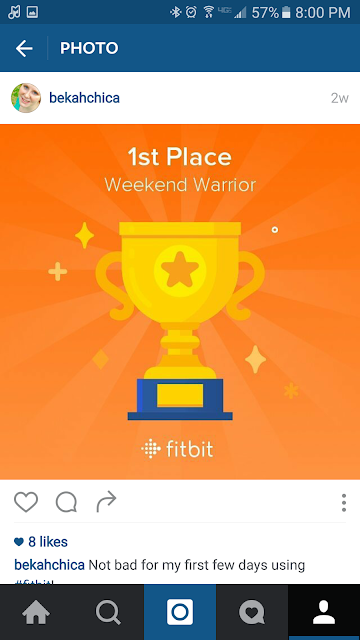 Fellow Fitbit users, feel free to challenge me or follow my progress—I need all the encouragement I can get! I adore green in two senses: the color and the lifestyle. Green clothing is a redhead's best friend, and green living is just smart. I don't need to tell you that I'm all about upcycling and waste reducing, but I do have to preface what I'm about to say by confessing that I've been a snob in one particular area of green living: the secondhand store. I'll KonMari my house all day long, filling up bag after bag to donate to local charities and consignment shops, but I've always refused to set foot into said shops to, well...shop. Sifting through disheveled racks of pieces in unpredictable conditions is a stressful concept to me. I'd much rather shop from my laptop where I can quickly filter by size and color and know I can just as easily return the goods if they aren't what I expected. Someone's been reading my mind, because I found out there is such an online consignment store. No digging for my size? Only new and like new pieces? 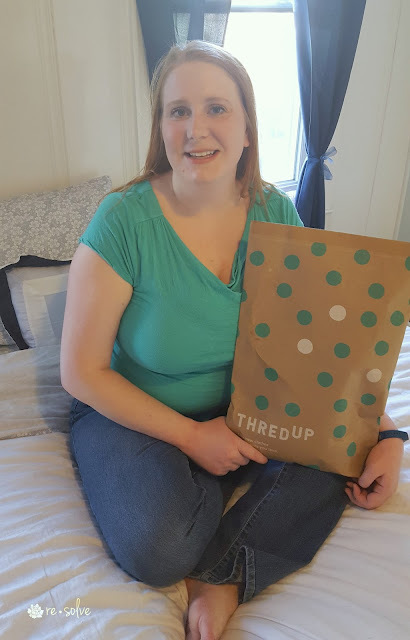 Ok, thredUP, I'll give you a try. 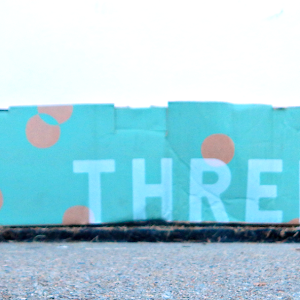 I couldn't wait to rip into that adorable polka dot packaging (I love how the dots are green—you get me, thredUP!) It felt like opening a present! I've been upping my physical activity lately, so I decided to shop for some workout gear—in green, of course! Three clicks into the site (activewear, desired size, desired color) found me two green workout tanks (one lime, one kelly) for less than $25—and one of them Under Armour (originally $40)! 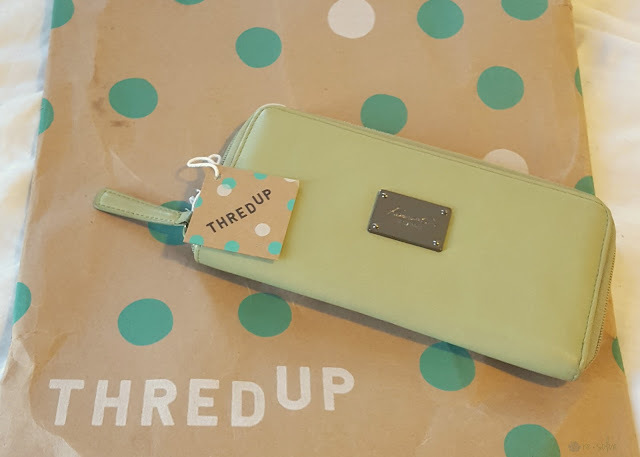 I saved so much, I decided to peek at their designer offerings...and scored the cutest avocado green $198 Kenneth Cole wallet...for the thredUP price of $51! It's like new for a quarter of the retail price! 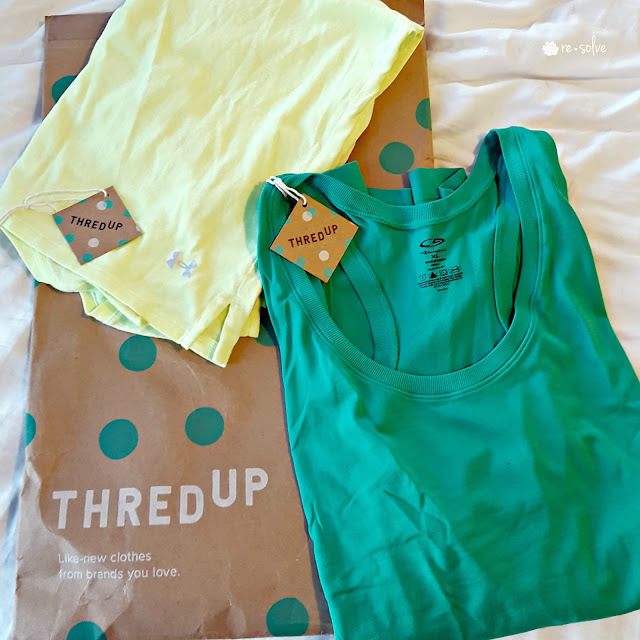 thredUP is slowly chipping away at my snobbery and making my wardrobe and lifestyle a little greener. That KonMari time I mentioned above? I requested a cleanout bag, filled it with my new and like new clothes that I haven't worn in forever, and send them in, consignment-style, for cash or credit. They only accept about 40% of what they receive, but in my beloved green spirit, unaccepted items are upcycled into useable materials (or they can be returned to you for the cost of shipping). 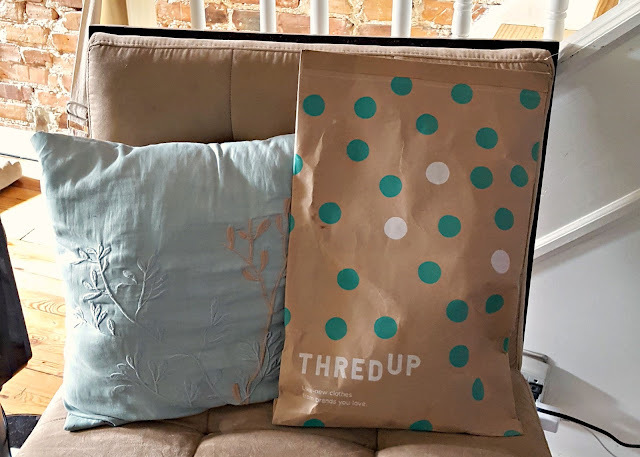 Either way, thredUP is moving clothes and accessories are onto a second life instead of creating more landfill waste—that's my kind of green! Oh, gardening. How I long to commence. It appears that Punxsutawney Phil was full of lies when he promised us an early spring. 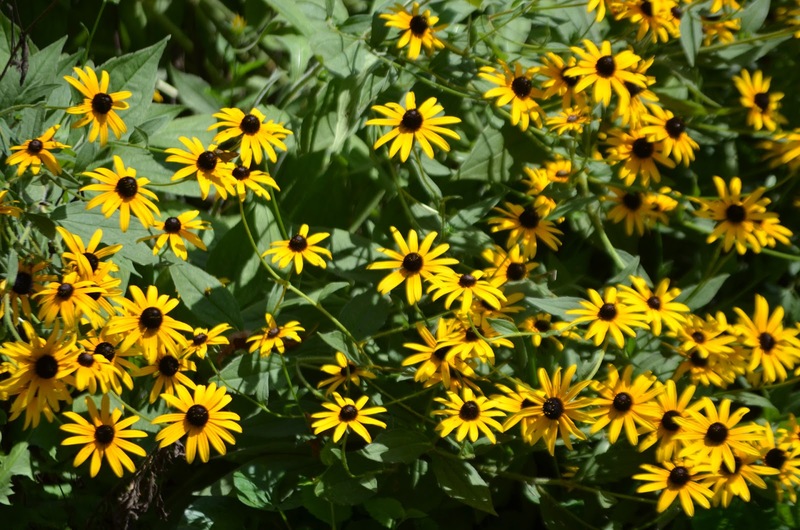 I picked up some Black Eyed Susans that I can't wait to plant in containers out front of my house (gotta show my Maryland pride), but until these frigid temps go, no gardening here. I have hope, but in the meantime, stay inside...with dinner on me! Enter below to win $15 to restaurant.com and keep reading for a full garden (it's gotta be warm somewhere!) 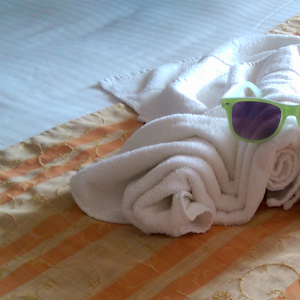 of giveaways. Welcome to the Garden of Giveaways Hop! HOSTED BY: Mama Smith's & Women and Their Pretties CO-HOSTED BY: Dorky's Deals & Anchors and Honey A group of bloggers has put together some amazing giveaways for you (with the minimum value of $15 each – but some are much more than that!). Be sure to enter them all – there is no limit to how many you can win. GOOD LUCK!